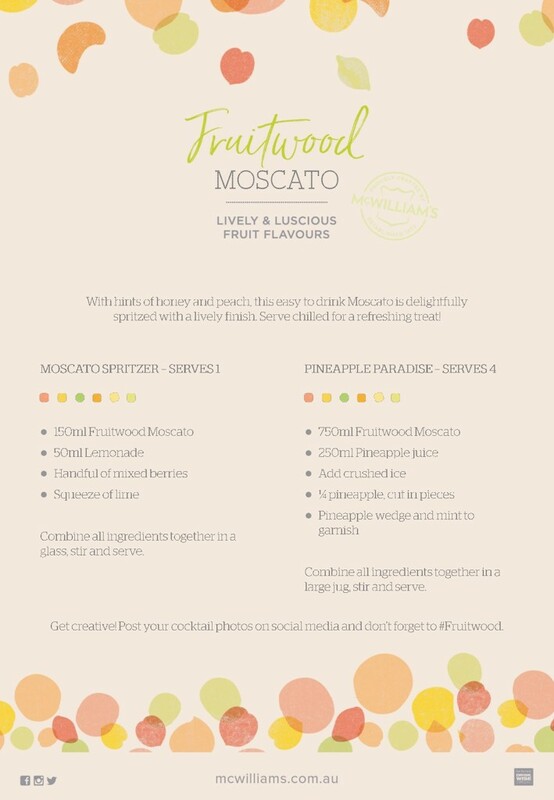 McWilliam’s Fruitwood Moscato is a tasty fruit-driven wine for those who enjoy the “sweeter” things in life. A tropical fruit explosion in your mouth with wonderful flavours of pineapple and lychee. Enjoy it chilled on a hot summer’s day on its own, or as a wonderful base ingredient for fruity wine cocktails. Color: Straw yellow with light golden hues. Aroma: Bright tropical aromas of juicy pineapple and lychee with floral musk notes. Palate: Tropical flavoursof pineapple and lychee with a sweet lemonade twist. 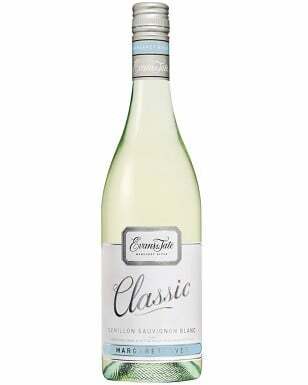 Fresh lemon and lime citrus provide a refreshing finish to this easy drinking wine. The grapes were picked in optimum temperatures during the cool of the night. 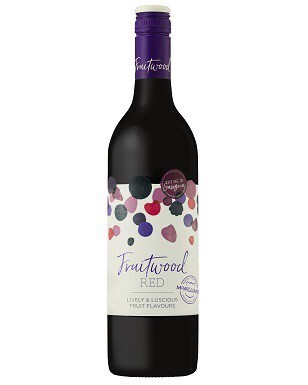 Once delivered to the winery, the grapes were processed and fermented using selective yeast to retain aromatics in this wine. Once the optimal baumewas reached, the wine was expertly blended to ensure a high standard of consistency in colour and flavour was reached.